The promise was that there would be no rain, no rain for two or three days. And warm, it said. It wasn't. 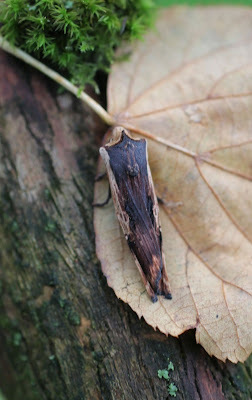 But the weather didn't prevent a new species arriving in the garden - the Red Sword-grass (Xylena vetusta). With my mix-up over the Turnip Moth and the Dark Sword-grass I thought I had recorded this moth some time ago - but I was as wrong as the weather forecast. 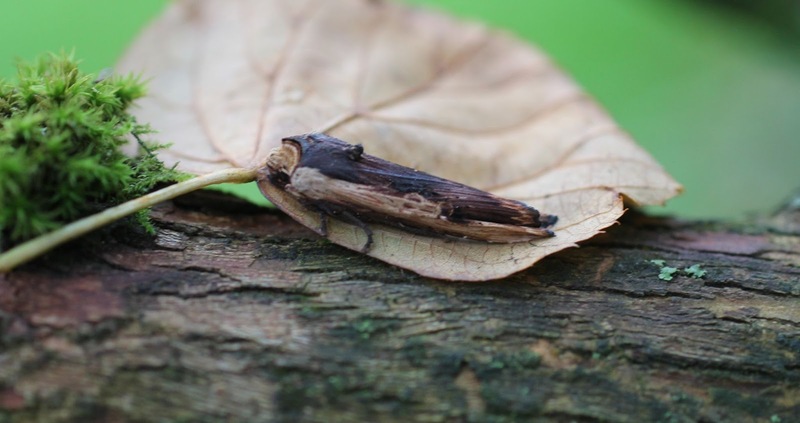 The Red Sword-grass is quite distinctive with its dark brown and rich clay colouring and its resemblance to a sliver of wood. It emerges from the chrysalis in October and November and then hibernates to reappear in the early months of the following year. The scientific name is straightforward : Xylena meaning 'wooden'; vetusta meaning 'old' - like a piece of old wood. According to records this moth is neither scarce nor common, if anything it is increasing in number in Yorkshire and can be found scattered locally throughout the county. 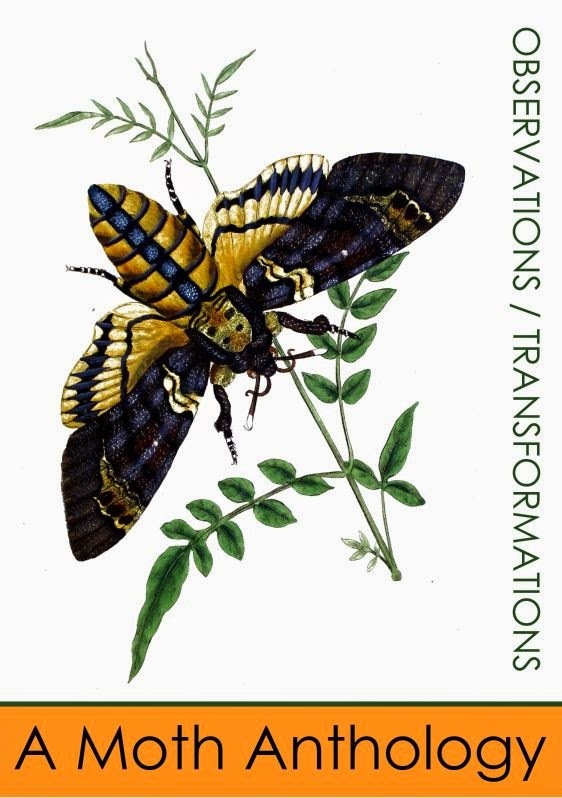 Humphreys and Westwood (British Moths and their Transformations) declare that the moth is rare (in 1843) but can be found in Darenth Wood in Kent. The wood is now under the protection of the Woodland Trust so the chances of it still being found there are quite high. 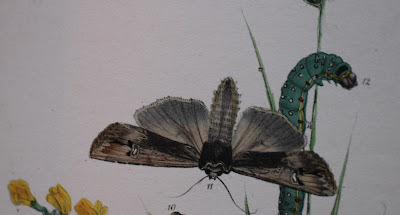 The caterpillar of the Red Sword-grass can be seen feeding on sedge (Carex) behind the wing of the illustrated moth. The species count is now 426.